EditShare announced the release of their free open source editing software Lightworks, now in open public beta. This is exciting if you don’t have the moolah to fork over for Final Cut Pro or Adobe Premiere CS5. Until now the other free alternatives (Windows Movie Maker, iMovie, etc…) just don’t cut it. Yes, pun intended. Especially when it comes to HD video formats (can you say HDSLRS?). Resolution, format and codec independent timeline – AVI, QuickTime, MXF, DPX and RED R3D, DV, DVCPRO 50, DVCPRO HD, XDCAM HD, XDCAM EX, P2, AVC Intra, DNxHD, ProRes. Real-time up and down-scaling, from SD to 2K. Real-time effects in SD, HD and 2K – Real time Primary and Secondary colour correctors and unlimited effects layers scale with your GPU – Nvidia or ATI! I’ve been pretty psyched about this since they announce the project back in April 2010. A free professional NLE available to the public. Lightworks has been used by many big names in the film industry. Lightworks is an Academy and Emmy award winning professional-grade editor with over 20 years of history in the film and broadcast industry. Having cut hundreds of films such as Pulp Fiction, The Departed, Centurion and Shutter Island, it includes a full feature set of editorial tools, from advanced trimming and media management, through to stereoscopic support and realtime effects including multiple secondary colour correctors. Lightworks has an advanced effects pipeline, utilizing the power of your GPU. 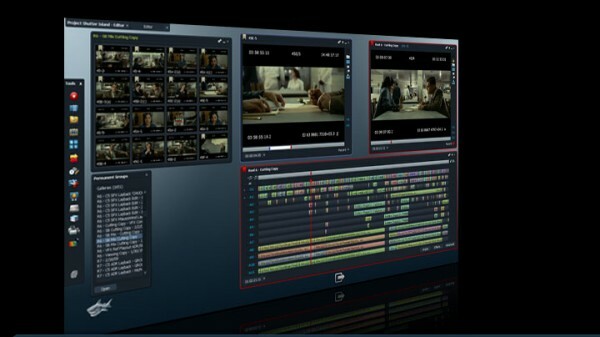 And with support for up to 2K workflows with realtime effects, it is the most advanced editing application available. I’m in the process of downloading this and will be testing it out in the next couple weeks. Look for a review and maybe even a tutorial going over the basic use and some of the features available for use. Right now Lightworks is Windows only, but Linux and OSX support is scheduled for late 2011. This is the first release of the beta version so I’m sure it will be rife with bugs. Regardless I hope this project takes off strong and refines itself through the open source community. Is this program OSX friendly or PC only? You should probably mention that it’s Windows only. Right now it’s Windows only. Support for Linux and OSX is scheduled for late 2011. Just a question: You mention that Lightworks is open source. But, I can’t find any source anywhere. A mistake? Or am I too stupid? This won’t crash your computer or cause any harm, right? Thanks in advance I hope it works ! Thanks, this is great for all HD video enthusiasts and semipros who can’t afford to buy anything super-special! How can I download it?? but the pain is the free vs doesn’t support H.264 / AVCHD Decode and Encode. How can i download this for testing ? How the hell do you download it? Where the heck is the Download? click lightworks then the right version for you.